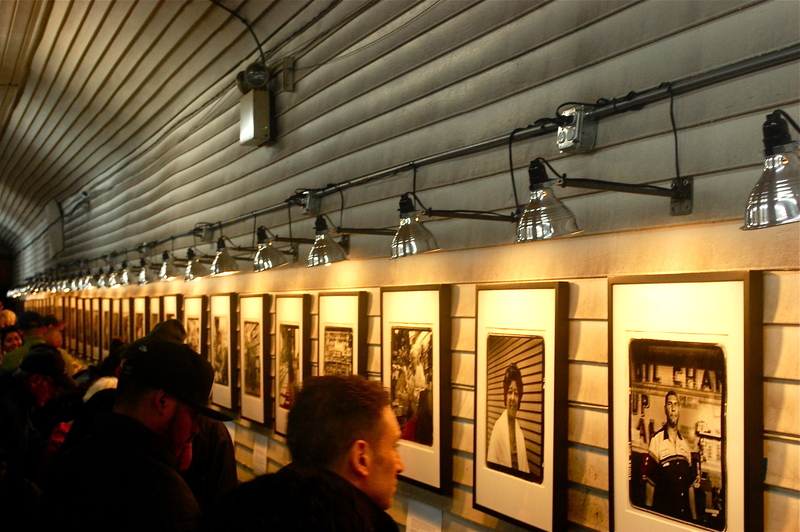 Phenomenal Bronx Documentary Photo Exhibit in a Muffler Shop. No Kidding. Just one impressive photo in the unusual, creative exhibit scene at Vasquez Muffler on Jerome Ave. 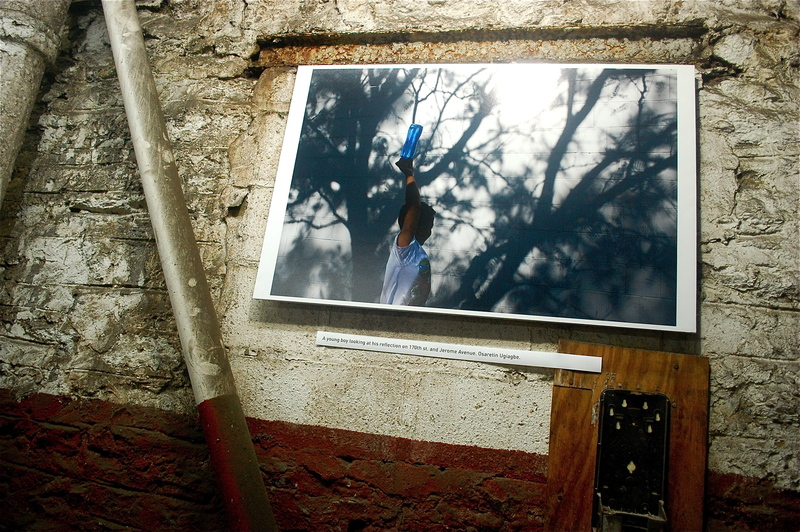 This photo in exhibit is by Osaretin Ugiagbe. This blog photo by Jordan Moss. 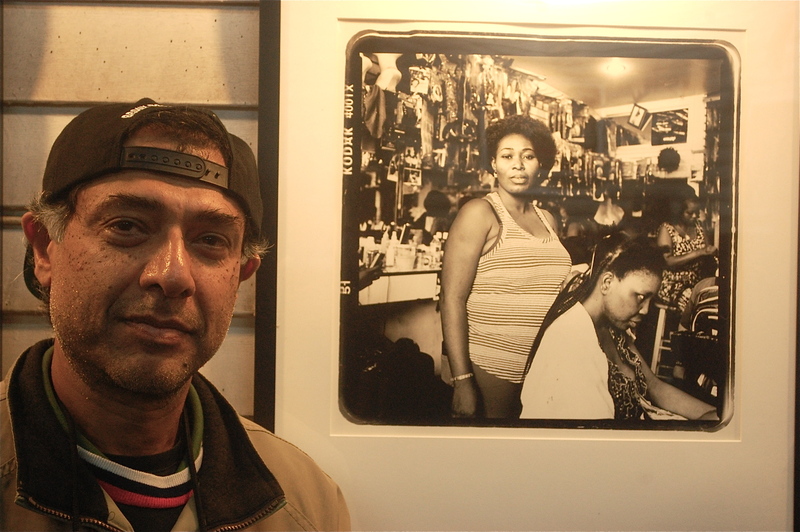 The Jerome Avenue Workers Project, a remarkable exhibit put on by the Bronx Photo League and the Bronx Documentary Center, had a remarkable, packed opening on Oct. 3 at — get this — Vasquez Muffler at 1275 Jerome Ave. Sixteen photographers took photos of community residents and workers in the south Bronx neighborhoods that Jerome Avenue links, like Mount Hope and Mount Eden. Though the exhibit is independent, its focus is linked to efforts by community organizations like CAAAV and Northwest Bronx Community and Clergy Coalition which are working with residents to challenge and change city plans that would rezone the area. That would allow landowners to sell their property to housing developers. The city plan, they say, will not be affordable and will essentially lead to illegal removal of local tenants, a crisis growing around the city.